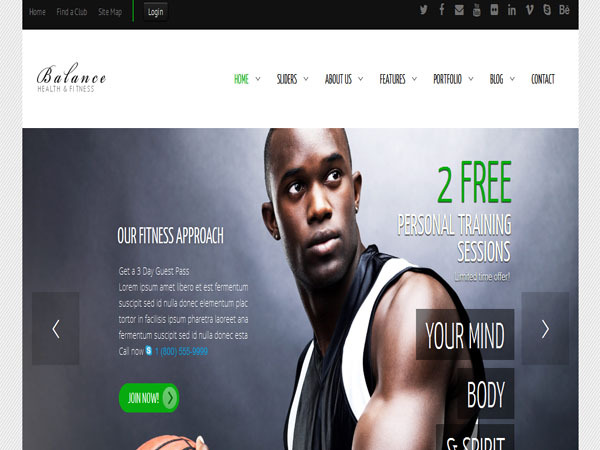 In this post we have pick up the best fitness premium WordPress themes with responsive template for Gym, Fitness Center or Health Club. Most these premium themes have been specifically designed with the health and fitness industry in mind with appropriate homepage designs, custom page layouts, and color schemes. These theme make your website SEO friendly. All these themes have advance responsive design, unlimited colors, a bunch of fonts and a lot of advanced options. 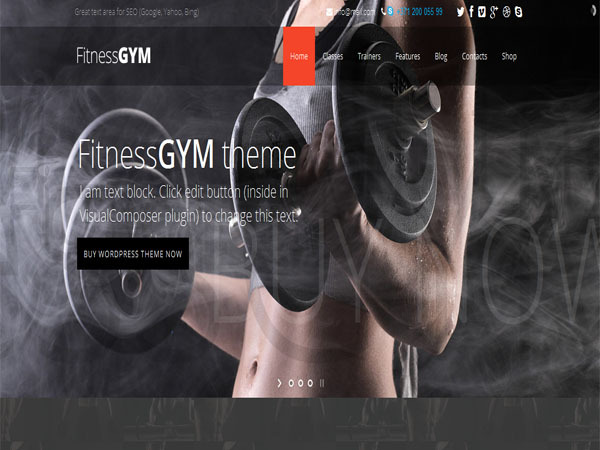 Fitness is a fresh and bold WordPress theme built with semantic and valid HTML5 & CSS3. It has a responsive layout that looks great on mobile and tablet devices. Fitness includes a drag and drop layout builder. With this builder you can easily built pages, portfolios and posts. WPML makes it easy to build multilingual sites and run them. It’s powerful enough for corporate sites, yet simple for blogs. Admin panel for Fitness WordPress theme comes with easy to use Theme Options. This options offer you to change colors, fonts, layouts, some default values and much more with just clicks. With changing colors in Theme Options you may set your site to a color combination that suits you the best. Symetrio is an elegant and impressive WordPress theme. Theme is fully customizable, you can change color almost 99.99% of theme elements just using a color pickers in WordPress customize. It has powerful schedule module. You can create simple module and advanced schedules. Use predefined modules. This theme has paralax background and 2 totally different blog styles. Theme gives you mega background, animated background on your page. Theme gives you 3 different blog layouts and 4 headers, 6 fitters. It has new page options for each side there is a number of interesting options to help you affect appearance of the page. 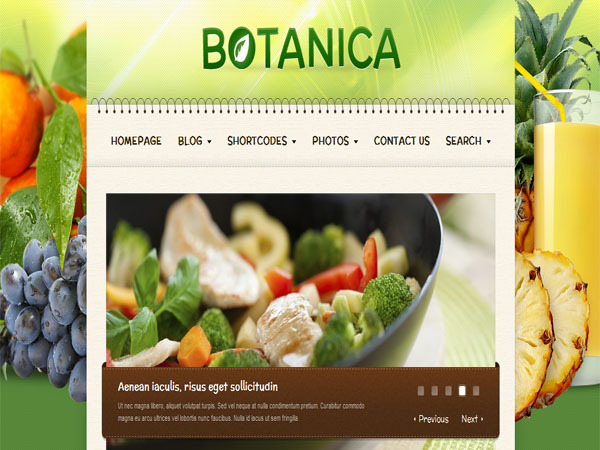 Botanica is an impressive and clean WordPress theme. Botanica has it’s own Bannery system, in which you can add images, text, videos or any other type of HTML code. This theme is has a separate gallery system. You can choose between two styles of galleries: fancy box and standard jquery gallery. This theme offers everything you need for blogging, you can add avatars to your posts, automatic search of avatar from the post if it is not set. This theme includes language (POT) files – now you can browse them easier and faster. 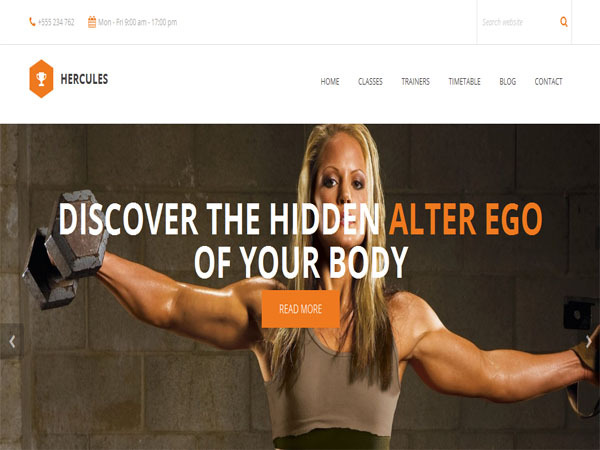 Hercules is a creatively designed fitness WordPress theme built on Bootstrap 3.x framework. This theme have included a video link in the documentation for the installation guidance. This WordPress theme is very easy to use and easy to customize. Theme comes with widget ready and custom widgets. Theme has unlimited colors and W3C valid and XML data included. It has redux Framework backend panel. Gameplan is a modern and sleek WordPress theme. It is advanced admin panel and fully responsive and retina ready WordPress theme design. Theme comes with slider revolution included and build any page layouts with visual composer. This theme come up with dark and light versions and customized background with solid colors, patterns or full size image. Theme is built with SEO practices and retina ready font awesome icons. 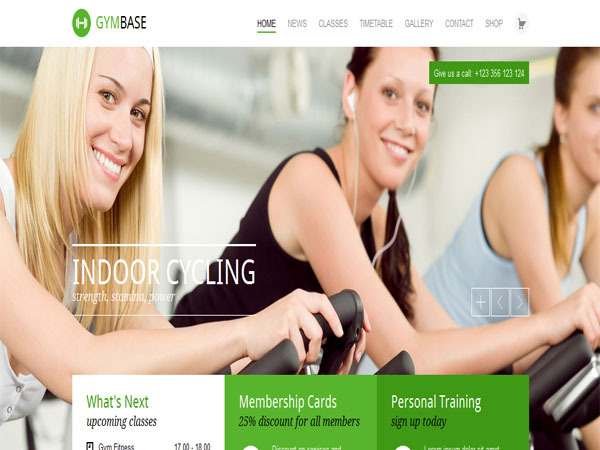 GymBase is a attractive and impressive WordPress theme. It has a responsive layout that looks great on mobile and tablet devices. Gymbase comes with build in schedule manager. It’s also available in a form of plugin timetable responsive schedule plugin. Gymbase is fully compatible with WPML, one of the leading multilingual plugins for WordPress. 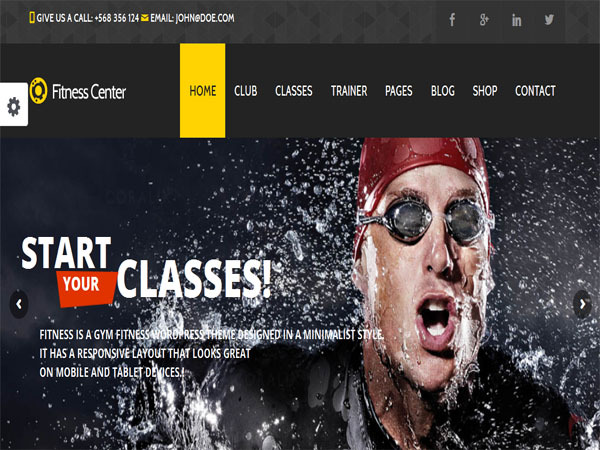 Gym Extream is a professionally designed WordPress theme. This template comes in 8 pre made color variations. This template is easy to modify and ready to be up and running out of the box. This WordPress theme comes with Classes schedule management and gallery management. This theme has facilities management and slider management. The PSD files included have been customized to allow fast skinning. 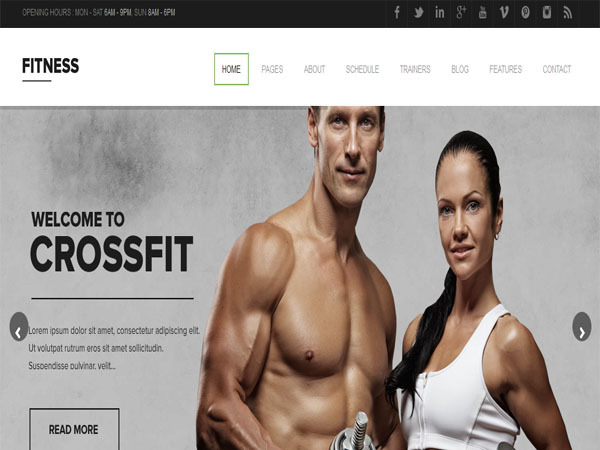 Fitness is a clean and sleek WordPress theme built on the Bootstrap Framework, jam-packed with features. Fitness is SEO optimized and it follows the latest trends and best practices in onsite optimization. Fitness is super easy to install and setup and comes with an extended documentation, ready to use page layouts and examples, HD video tutorials, PSD designs and much more. This is ultra responsive theme, it is fit on your large desktop screen, all the way down to your iPhone – and of course any Tablet or iPad. 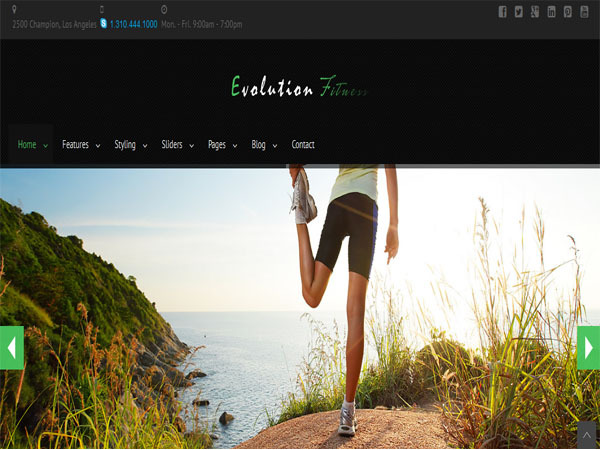 Evolution Fitness is a creatively designed fitness WordPress theme. It is totally responsive HTML5 and CSS3 design. It comes with several home page options including the amazing layerslider and revolutions slider. This theme has unlimited colors and Google fonts and easy install Demo data. 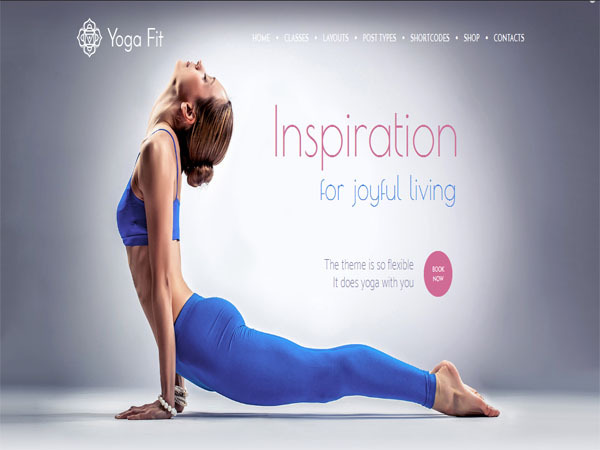 Yoga Fit is a sleek and creative WordPress theme design. This theme includes a large collection of custom widgets, that allow even more content management possibilities and provide advanced options for social networks, like Flickr, Facebook and Twitter. Theme has a responsive layout that will respond to your screen width and make content appearance be perfect on all devices, from large desktop screens to mobile phones and tablets. Theme has custom page backgrounds and unlimited menu colors. 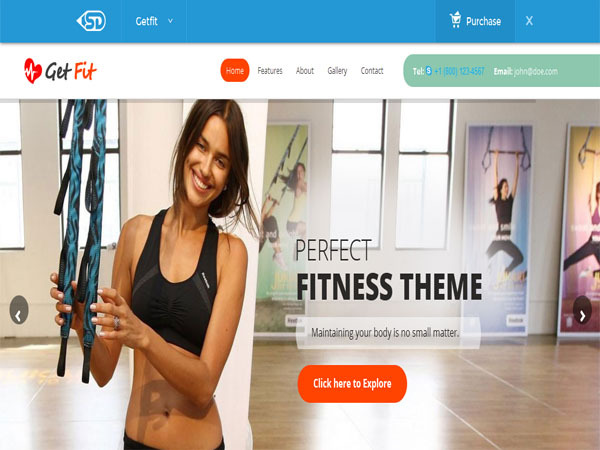 GetFit is a powerful and fully responsive multi purpose WordPress theme. GetFit will fit your large desktop screen, all the way down to your iPhone – and of course any Tablet or iPad. GetFit comes with unlimited color styles, custom widgets, touch & swipe enabled, Rev Slider. GetFit is super easy to install and setup and comes with an extended documentation, ready to use page layouts and examples, HD video tutorials, 10 PSD designs and much more. Aegon is an impressive and elegant WordPress theme. It is 100% responsive WordPress theme design. It has parallax backgrounds and one page and multipage. This WordPress theme comes with unlimited color variation and contact form 7 support. Theme gives you single blog page & blog list page and google fonts support. Aegon theme has mailchimp support, extended documentation, PSD files included and clean code, all files are well commented and organized. ENERGY is a attractive and impressive WordPress theme. It has fully responsive, retina ready and flexible page layout design. This theme has 6 different portfolio grid columns and 3 portfolio single page styles. Theme gives you custom background for each portfolio page and for each portfolio item. Theme has extensive admin panel and custom post/page options. It comes with contact page function and unlimited sidebars. Athlete is a creatively designed fitness WordPress theme. Theme has advance parallax background plugin included. Theme has fully responsive support and unlimited colors. It’s available with fitness class and trainers management and Woo-commerce ready to use. It’s give you smooth CSS3 animation and parallax sections. Balance is a well-designed WordPress theme. This WordPress theme is fully responsive and fully HTML 5 Valid theme. This theme bundled with unlimited portfolios with six different layouts. Balance theme has 2 custom types for slider and portfolio management and lots of short-codes. FitPro is an elegant and modern WordPress theme. The theme comes with 50 visual composer elements bundled along with the two premium plugins. This theme has 8+ custom post types with backend UI and 60+ shortcodes with premium shortcode builder and FitPro can be used to design single page sites just as easily with the help of page sections. The theme can be configured for a boxed or stretched layout with a single click of a button. This theme has easy parallax backgrounds with customizable scroll speed. 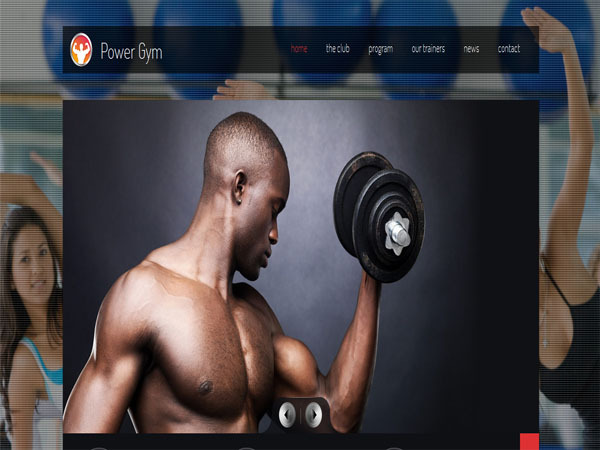 Power Gym is a sleek and creative WordPress theme design. The layout is responsive, looking great from a desktop view down to a smaller mobile resolution. The theme includes several gym dedicated pages like programs, trainers, photo gallery, videos and sport categories which can easily be created using the custom post types. This WordPress theme has custom editor shortcodes to create icons blocks and full width page layout with multiple sections arrangements.